HomeHealthMust ReadWhy Did It Take Hospital 18 Months To Say Sorry Over Stillbirth Death? Why Did It Take Hospital 18 Months To Say Sorry Over Stillbirth Death? Hospital bosses took 18 MONTHS to say sorry to a mum whose baby was delivered stillborn after devastating mistakes. Becky Davies’ daughter Freya was delivered stillborn 48 hours after the 29-year-old first telephoned the hospital complaining of pain, saying her waters had broken. However, staff at Kings Mill Hospital in Mansfield insisted she was not in labour – causing delays that meant she went without vital care. Becky’s placenta then ruptured, starving Freya of oxygen. Sherwood Forest Hospitals NHS Foundation Trust, which runs Kings Mill Hospital, admitted care failings in November 2017 and vowed to issue an official apology. But it was only this month that Becky and her husband Jordan, 23, finally received the letter – some six months after being promised for a second time that hospital chiefs would write. 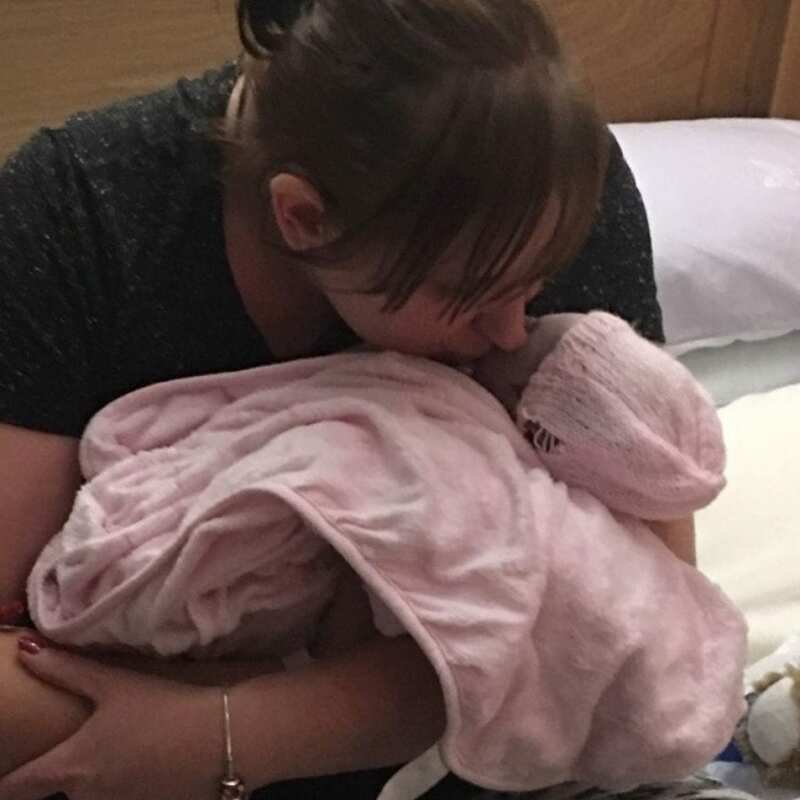 In the note, chief executive Richard Mitchell apologised for the “substandard care” Becky received and acknowledged that that hospital “missed opportunities” to “properly react to the risks you and baby Freya faced”. Becky Davies with her stillborn daughter Freya. Mr Mitchell also said that the Trust had “identified and acted upon opportunities to improve” maternity care. Becky, from Mansfield, said: “We have always said that an apology would never bring Freya back. “However, for us to be told that an apology would be forthcoming and then not to hear anything for six months made us feel like our concerns were not being taken seriously again by the hospital. “We will never get over losing Freya and there is not a day goes by where we don’t think of her and all the memories we could be creating as a family. Although Freya is not here she will always be a part of our family. What was meant to be a joyous occasion turned into heartbreak for Becky and Jordan following the hospital’s failings. Becky telephoned the hospital at about 10am on 17 December, 2016, on her birthday, saying her waters broke at home. But despite telling midwives as her pain increased that she was in labour, they insisted she was not and suggested that she call back later. At about 6pm she was told to attend hospital following a further phone call. 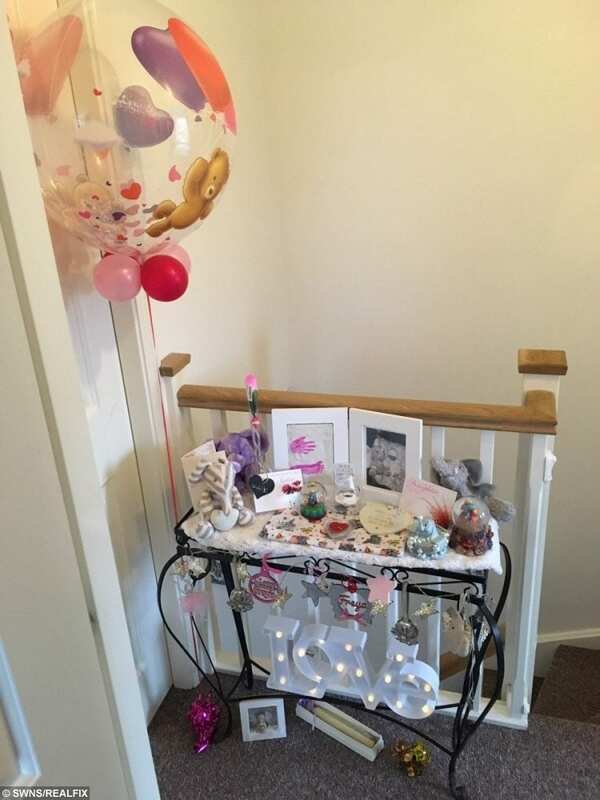 Becky Davies shrine to her stillborn daughter Freya. Following an examination it was confirmed Becky was in labour and she was admitted to the maternity unit. Becky continued to be monitored on 18 December and awoke at around 1am on December 19 in severe pain. However, she was told she was not in labour. Several heart rate scans were performed but each time staff could not locate Freya’s heartbeat. Becky made repeated pleas to be seen by a doctor. She was finally taken to the birthing unit and gave birth to Freya just after 9am, however, doctors could not resuscitate her daughter. Sherwood Forest Hospitals NHS Foundation Trust launched a investigation and concluded that “human error led to inadequate care being assessed, planned and implemented which led to the sad death” of Freya. Kimberley Nightingale, from law firm Irwin Mitchell, which represented the family, said: “Whilst we are pleased that the Trust admitted liability we feel that it could have acted with more urgency to apologise to Becky, moving to reassure her that it had learned lessons from Freya’s tragic death. Becky and Jordan spoke out for SANDS Awareness Month, which attempts to increase awareness of stillbirth and neonatal deaths and the impact these tragic situations can have on the parents involved. The month-long event raises funds that enable the charity to support anyone who has been affected by the death of a baby before, during or shortly after birth. The organisation provides vital emotional support and information for parents, grandparents, siblings, children, families and friends, health professionals and others. Sherwood Forest Hospitals NHS Foundation Trust said it had identified five lessons from Becky’s care, including that concerns should be escalated if unease persists; women with a high-risk pregnancy should have a plan of care made by the registrar/consultant in triage and that record keeping can be improved. Medical director Andy Haynes said: “We are extremely sorry for Becky and her family’s devastating loss, there are no real words to describe the loss of a baby and we understand how difficult this must be.